Do you already have a merchant account somewhere else? Tired of paying excessive fees each month? Sick of the poor customer service you’re getting? Rates keep creeping upwards? Veritrans offers a free and confidential analysis of your current contract and fees. We’ll help you understand your contract better and walk you through some cost–effective card processing services solutions. When you’re rates are set with Veritrans, unlike other providers we guarantee to never increase them for the life of the account. 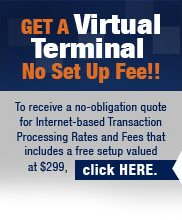 If you’re ready to start saving, then make the switch to Veritrans today. Our Quick Start Program guarantees same–day application processing. In just 48 hours or less you will be able to start accepting credit cards. Call 1-866-474-4144 today for your FREE consultation.